IWCC: Ley Lane CCTV, footpath and youth services net council cash | West Leeds Dispatch | News. Views. Get involved! Closed circuit television for a troubled west Leeds estate, a new footpath, funding for a community shop and youth projects are among several community projects were awarded funding by the council last night. Members of the Inner West Community Committee – which is made up of councillors from Bramley and Stanningley, Armley and Kirkstall wards – met at Stanningley ARLFC’s base in Farsley to discuss a number of local issues, such as social housing need and fuel poverty in the area. They also awarded money towards a number of schemes/groups. This included £10,000 towards CCTV for Ley Lane in Armley. Residents are experiencing high levels of antisocial behaviour and crime, including drug dealing. 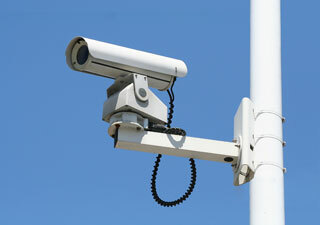 It’s part of a £66,000 scheme to link the cameras to the wider LeedsWatch network and monitor the cameras for five years. Improvements in the Ley Lane area will also include resurfacing a poorly maintained footpath which runs through the field on the estate. The overall cost is £5,000, with £3,500 provided by the Inner West Community Committee. Councillors also approved in principle £6,000 to monitor CCTV on Broadlea Grove, Bramley, starting in the next financial year. They also approved £10,000 towards the running costs of the Bramley Community Shop in Bramley Shopping Centre. Other funding agreed included over £8,000 to continue BARCA Young People’s Counselling Service; £2,000 for summer activities for young people across all three wards and £3,000 to continue funding for three volunteer debt and financial support workers for Ebor Gardens Advice Centre. They refused a £2,000 bid for security radios at Bramley Shopping Centre as the centre itself was unwilling to pay towards the scheme. They also deferred a bid by Burley RUFC for boundary fencing pending further negotiation with the club and the other piotential funders Kirkstall Forge. Armley councillors recently funded outdoor fitness equipment at Ley Lane in Armley. The project, they said, was in partnership with local residents and the council. At last night’s area committee meeting, it was agreed to set up further meetings with local residents ‘following engagement on the Facebook page’. The council says it carried out some consultation with residents last summer, holding a couple of events on the greenspace advertised to some residents via letter. Local residents are campaigning for more play equipment for youngsters and it’s believed the council is now looking into the possibility of providing that. At the start of each Inner West Community Committee meeting there’s a ten-minute ‘open forum’ where residents can address councillors directly on issues of concern. No-one took up this opportunity last night – perhaps people would consider coming forward for the next meeting on September 9 in Kirkstall. 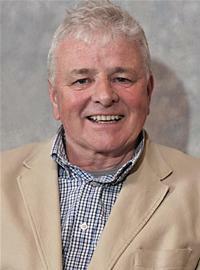 The meeting elected a new chairman – Bramley’s Cllr Kevin Ritchie.